Metro Exodus is making the rounds at E3, and for a good reason. The Metro games have been, without a shadow of a doubt, some of the best first-person shooters around. Why? Because of the focus on a tight, strong story. Excellent mechanics and the game seemingly valuing you as a player. 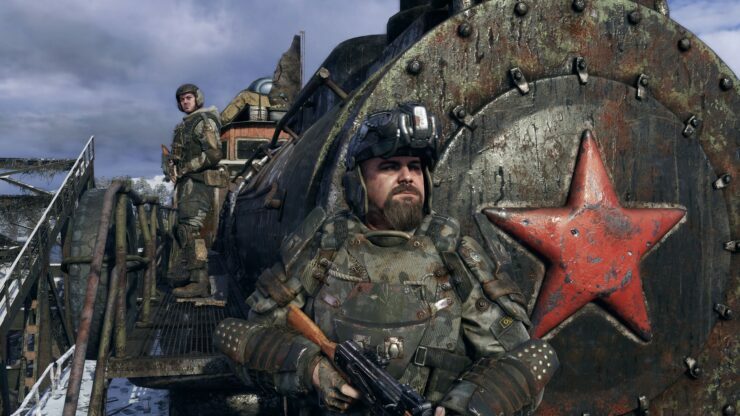 When it was announced at last year’s E3, Metro Exodus was met with a lot of fanfare. Rightfully so. Last month I got the opportunity to head to London and attend the worlds first hands-on of Metro Exodus. I can tell you right away, this is the sort of game that makes me remember why I actually like some First Person Shooters. This is far from the Metro you know and loved though. This is Metro gone wild, or at least to the wilderness. 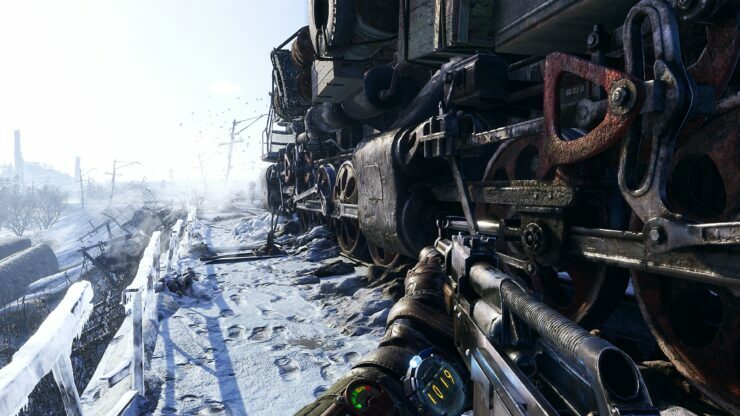 During the event, it was made clear that Metro Exodus isn’t an open world game. Rather, it’s more a collection of smaller, more open maps. This is more of a selling point to me than another huge open world will ever be. Too many games will boast about how big their world is, negating to mention the fact that even the main story essential takes a side track to pointless levels of collect-a-thons. Developers 4A games and publishers Deep Silver know this. At first, it could be easy to think that they were trying to distance themselves and just talk the game up. It’s easy to say your open world(s) game has a tight narrative, but it means naught if the player doesn’t actually explore it. 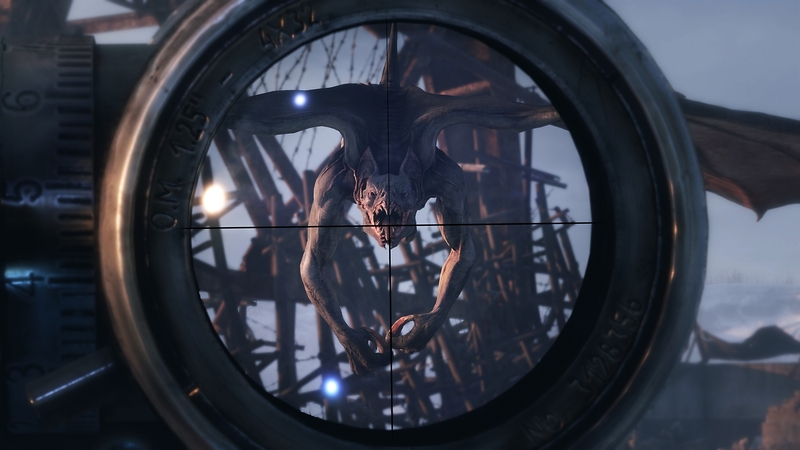 Fortunately, any concerns I had were quashed when I got to spend a few hours dying at the hands of Metro Exodus’ horrible creatures. Also, I saw a rabbit on a raft. I swear I did. And this is what got me killed the first time. I was told it would be best to follow Anna and follow the story. She took a left, I turned right, to the river. Three rabbits on a makeshift raft floating down, I chased them. Desperate to say hello. I ran into some of the new, fearsome creatures that roam the wilderness of post-nuclear holocaust Russia. They didn’t seem too happy to see me, even less happy when I unloaded my machine gun into them, killing one. I then unloaded my pistol, killing another. The third and fourth played with me like a Lion plays with a Zebra. It’s one of these smaller open worlds that the hands-on part of the event put me in. The train has to stop, damaged after crashing into a barrier blocking the tracks. A small group of people flees, obviously unsure if you’re friend or foe. However, how can you be sure if they are too? This map isn’t huge in the same sense of That Ubisoft Game, but it has some scope. There are destroyed buildings, flooded parts of a city, an old power plant and a fortified church that holds a small community. The open-worlds-but-smaller is actually a great selling point for Metro Exodus. There is a level of freedom the previous titles just didn’t feature. Sure, it goes against the core of the previous titles, but it doesn’t dilute the story or atmosphere too much. That’s where the Exodus part of the game comes in. Here you follow Artyom, Anna and his Spartan comrades. They’re on their way westward from Moscow on the Aurora. This train acts as a sort of mobile base as you travel from area to area, trying to reach the supposed seat of the new government and through territory supposedly occupied by a foreign army. Honestly, I only got glimpses of the story, but that makes sense due to the nature of the event. What matters is that each of these areas will have stories of their own. Your decisions will also impact how you’re perceived by others. Even something as simple as having your gun unholstered can make some wary of you. This church I encountered just so happens to be full of violent, technophobic zealots. Needless to say, it wasn’t long before I was tasked with escaping the church. The choice then was to do it sneakily or violently? I went for a mixture of both and got naught for it. Well, naught but an admonishing from some random guard sent to keep watch for me. Apparently, my thoughts on killing them silently would make me an unfriendly person and word would spread. How he knew, I’ll never know. Not a single shot was fired in my silent killing of a large number of guards, some survived because I hit the hidden trigger of so many kills that made the rest surrender. Word could, indeed, travel. However, the world should be that Artyom and the Spartans don’t take kindly to religious zealots trying to trap them in and kill them. Rather, these religious zealots should love me. Sure, we are riding a train but I still explore all retro-style. That is to say, there is no fast travel in Metro Exodus. While exploring the map you can find a few safe houses. These don’t act as a save point or anything like that, just somewhere to sleep and get away from the horrors of the wilderness. Nor do they act as any sort of fast travel. Oh no, not here. You get a map and a compass, you can work out where to go using those and only those. Granted, the map does have your position marked on it, so there is a bit of leeway. It still feels like a Metro game. That’s what matters the most. There’s certainly an inspiration taken from S.T.A.L.K.E.R., the GSC Game World title that a number of 4A games founders were a part of. A number of influences include the inclusion of anomalies, mystical radioactive things that will gladly seep all of the life out of you. Another element that has been borrowed from the GSC titles, and other shooters for that matter, is the new focus on crafting. You’ll craft bandages, bullets, throwing knives, Molotov cocktails, medkits and of course filters for your trusty gas mask. The gas mask will be used in more enclosed areas, some you’ll encounter in the open world zones and also there was talk of connecting maps that take the form of a more traditional Metro style level. So you can cheer for that. One thing that is lost is the use of bullets as currency, you can now craft these. 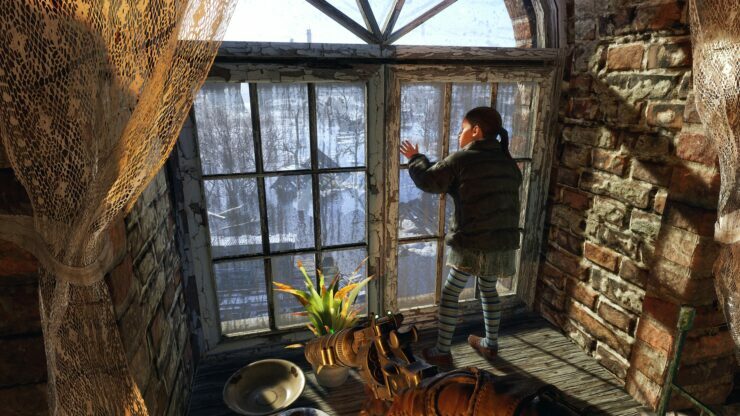 Trading and shopkeepers don’t exist in Metro Exodus. Those things are all crafted using your trusty portable workbench, found in your backpack. One use of a safe house is the crafting bench found inside. These allow you to modify your most valuable companions, the weapons. As you scavenge the world and your fallen enemies, you will gather resources for crafting the aforementioned items. In addition to this, you will also find new parts for your weapons. Each weapon comes as five distinct parts: Barrell, Stock, Scope, Magazine and Attachment. Even though you’ll be using effectively the same gun, just one slight change can make it feel completely different. It also allows for more tactical options. Will you lower the power of your rifle by adding a silencer? How about lowering the number of shots before reloading to turn your pistol into a hand cannon. The choices will, eventually, be incredibly varied. They were varied enough in just the one level I was able to play a small part of. Maybe the religious zealots were right? There is one problem that comes with more open games with freedom is the need to include more. More of this, more of that, more of everything. 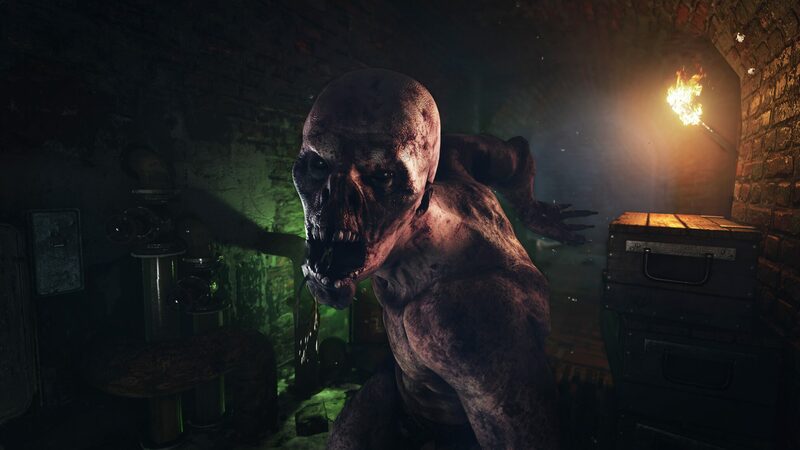 Metro Exodus contains double the dialogue of both other metro games combined. The first open level is reportedly 20 times larger than the Swamp level of Metro Last Light, the largest area in the series prior to now. All of this sounds good until you realize that the larger something is, the more the chance of something breaking. This was already evident in the dialogue, where Artyom is suddenly ‘uncle Artyom’ of the child he helped rescue from the church. Some of the roaming mutated creatures have a habit of getting stuck on burnt out cars, doors and even small rocks on the floor. I was asked during the event and after the event what I thought about Metro Exodus. My answer here is exactly what it was then: I really like it. It has its bugs and needs a fair amount of polish and to get rid of a number of bugs, but it’s fun. It’s also, genuinely, still atmospheric and enthralling as the previous titles. Especially so when you enter some of the more enclosed areas. Knowing the fact that the open areas aren’t everything and you will, indeed, be encountering some of the more traditional Metro style areas, this could really feature something for everybody while retaining the charm of the series. What I do know is that we’ll find out for sure on February 22nd, 2019.